An extract from the obituary of a man of action and a champion, before it was fashionable, of business ethics and human rights. When Chandler ‘faced the disdain of his peers, … he insisted that companies had a moral responsibility to make human rights and protection of the environment as much part of their bottom line as profit.’ He worked with Paddy in SOE in the war and last saw him in Alexandria in 1945. First published in The Financial Times, 15 April 2011. Born in London in 1922, Chandler was educated at Sherborne school in Dorset and Trinity College, Cambridge. At the age of 19, with the second world war raging, he joined the King’s Royal Rifle Corps, where he became a captain before being assigned to Force 133 within the SOE, nicknamed “the Ministry of Ungentlemanly Warfare”. There he met the now-legendary SOE agent and travel writer Patrick Leigh Fermor. 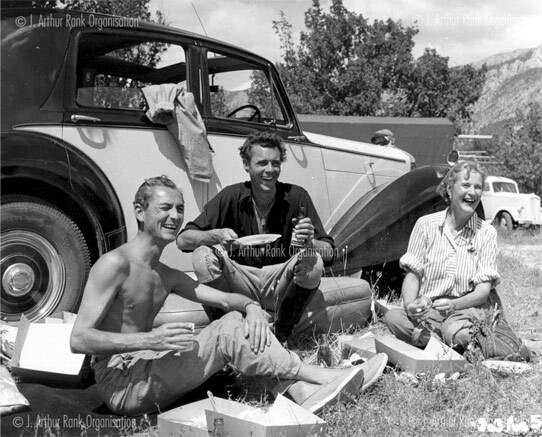 “The last time I saw Paddy was in Alexandria towards the end of the war when he and I were loading a jeep onto a caïque (a Greek fishing boat) athwartships,” Chandler once told a friend. 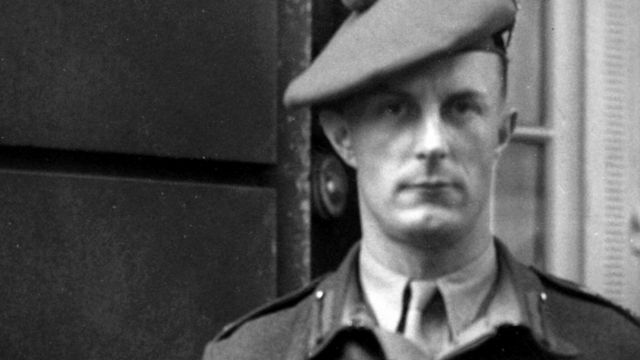 “The jeep was full of gold coins to pay off the partisans.” Chandler was parachuted behind Nazi lines as a saboteur in Greece, where he learnt fluent Greek. 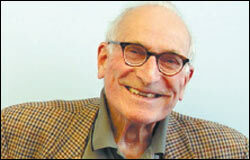 He related his experiences in his book The Divided Land: an Anglo-Greek Tragedy, published in 1959. In it he criticised Britain for not imposing the rule of law in Greece after the defeat of the Nazis. A rightwing backlash to communist atrocities after the war resulted in bloody civil conflict in Greece. After the war, Chandler remained in Greece as a British press and information officer, when he pushed for aid for the war-stricken Greek population. He returned to London to work for the BBC External Services in 1949 before joining the Financial Times as leader writer and features editor. In 1955, he married Lucy Buxton, a Quaker.Born in London in 1922, Chandler was educated at Sherborne school in Dorset and Trinity College, Cambridge. At the age of 19, with the second world war raging, he joined the King’s Royal Rifle Corps, where he became a captain before being assigned to Force 133 within the SOE, nicknamed “the Ministry of Ungentlemanly Warfare”. There he met the now-legendary SOE agent and travel writer Patrick Leigh Fermor. 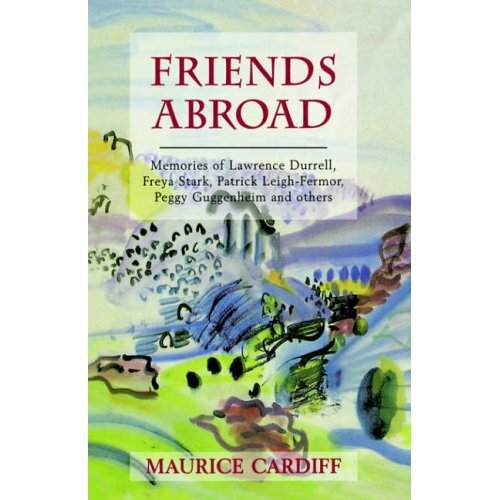 “The last time I saw Paddy was in Alexandria towards the end of the war when he and I were loading a jeep onto a caïque (a Greek fishing boat) athwartships,” Chandler once told a friend. 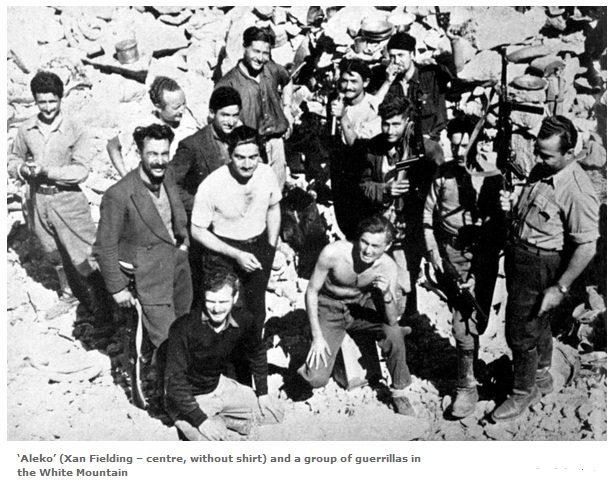 “The jeep was full of gold coins to pay off the partisans.” Chandler was parachuted behind Nazi lines as a saboteur in Greece, where he learnt fluent Greek. He related his experiences in his book The Divided Land: an Anglo-Greek Tragedy, published in 1959. In it he criticised Britain for not imposing the rule of law in Greece after the defeat of the Nazis. A rightwing backlash to communist atrocities after the war resulted in bloody civil conflict in Greece. After the war, Chandler remained in Greece as a British press and information officer, when he pushed for aid for the war-stricken Greek population. He returned to London to work for the BBC External Services in 1949 before joining the Financial Times as leader writer and features editor. In 1955, he married Lucy Buxton, a Quaker. This entry was posted in Other SOE Obituaries and tagged Patrick Leigh Fermor, Shell Oil Company, Sir Geoffrey Chandler on July 4, 2011 by proverbs6to10. I am reposting this obituary to Xan Fielding at this time as he was Paddy’s very good friend, the one to whom Paddy wrote his open letters at the start of A Time of Gifts and Between the Woods and the Water. Those who have found this site for the first time might wish to read about his friend. At the end is a special tribute written by Paddy. I believe this to be the only on-line copy and it now includes newly discovered photographs. 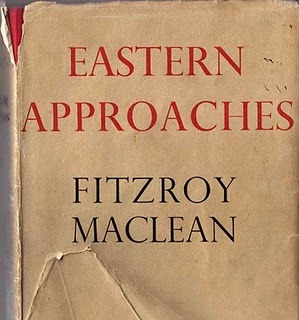 This entry was posted in Obituaries, Other SOE Obituaries, Other Writing and tagged Billy Maclean, Cairo, Crete, Dirk Bogarde, Ill Met by Moonlight, Patrick Leigh Fermor, SOE, Xan Fielding on June 18, 2011 by proverbs6to10. Peter Kemp was a fellow SOE officer and would have known Paddy, Xan Fielding and Billy Moss. Peter Mant MacIntyre Kemp, soldier and writer: born Bombay 19 August 1915; MC 1941; DSO 1945; twice married (marriages dissolved); died London 30 October 1993. PETER KEMP was a distinguished irregular soldier during the Second World War, and long retained his nose for trouble spots thereafter. His father was a judge in Bombay, where he was born. After conventional education at Wellington and Trinity, Cambridge, he started to read for the Bar, but was called away by the outbreak of civil war in Spain. Already alarmed at the menace of Communism, he joined a Carlist unit in General Franco’s forces in November 1936 and later transferred to the Spanish Foreign Legion in which – rare distinction for a non-Spaniard – he commanded a platoon. He was several times wounded, but stayed at duty till a mortar bomb broke his jaw in the summer of 1938. This entry was posted in Other SOE Obituaries and tagged Tara on September 28, 2010 by proverbs6to10. 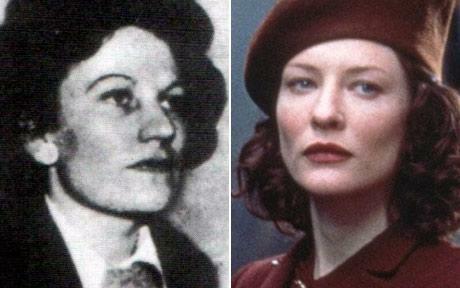 There have been many articles in the press these last two weeks about the service of women in the SOE prompted by the death at the age of 89 of Eileen Nearne who served as an agent in France with SOE, was captured, tortured by the Gestapo but survived the horrors of Ravensbrück concentration camp. This article by the excellent Christopher Howse who writes for the Telegraph is thought provoking; the sentiments reflect the way that Paddy and many of his colleagues have lived their lives. The astonishing life of Eileen Nearne, parachuted as an SOE officer into wartime France, horribly treated by the Gestapo and surviving Ravensbrück concentration camp by a rare providence, is one of those tales at which we can only marvel as they are recounted week by week in our Obituaries column. Modesty is a virtue generally noticed only in retrospect. That generation of war heroes who have been the glory of the Obituaries page since the 1980s, when Hugh Montgomery-Massingberd invented the modern narrative version of the art, spent decades of ordinariness after their exploits. They did not speak of them. And here, there has been a most encouraging change in the past generation. In the 1960s and 1970s, the old major with the gammy leg and the whisky and water in the saloon bar was, shamefully, a figure of fun. The Angry Young Men of the 1950s gave way to the Sixties silliness that thought war would end if its most selfless survivors were mocked and shunned. That has changed. Veterans at the Cenotaph are now regarded not as old buffers or worse, but as representatives of an unsentimental courage that stood between Britain and barbarism. We can take these men and women seriously partly because they did not take themselves seriously. All those men nicknamed Jumbo or Buffy, sporting moustaches and a fine disrespect for bureaucracy, stormed machine-gun nests, swam rivers under fire, rescued comrades from burning tanks, disregarded their own wounds, and then came back home to Weybridge or Ormskirk for 30 years in the motor business or film distribution. Who, the unanswerable question remains, will enliven the Obituaries page in half a century? Forgotten celebrities from the television jungle, or Big Brother? Surely not. For this new generation, celebrity skips the intermediate step of achievement. It is better to appear on television for a trivially shameful act than not to appear there at all. Today, celebrity is an enemy of promise. It is the end of the road at the cliff’s edge. Those who find fame now will in future be forgotten for attainments better not remembered. That is not to rule out eccentricity among the preceding generation of heroes. Eccentricity does not stand as an obstacle to achievement. Take Sir Hugh Rankin, 3rd Bt. He was to become the oldest surviving member of the 1st Royal Dragoon Guards in the Sinn Fein Campaign of 1920–22 (by which time he was already broadsword champion of the British Army). But in the meantime, he had put in a year or two as a sheep-shearer in Western Australia and served as the British representative to the first all-European Muslim Congress at Geneva in 1937, before turning to Non-Theistic Theravada Buddhism in 1944, the year before he joined the Scottish Communist Party. This did not interfere with his position as Hereditary Piper of the Clan Maclaine, nor with his multitude of recreations, such as hunting, riding bicycles to the tops of mountains, and becoming, in his own words, the only person to have crawled, alongside his wife, “under dwarf fir forest for the last mile of the most northerly known section of any Roman road in Europe, terminating opposite the end of Kirriemuir Golf Course”. That would be something worth putting on Twitter – except, of course, that Sir Hugh wouldn’t have wanted to. This entry was posted in Other SOE Obituaries and tagged Eileen Nearne, Patrick Leigh Fermor, SOE, Special Operations Executive on September 19, 2010 by proverbs6to10. Alan Hare was one of the SOE colleagues of Paddy who passed through Cairo and is mentioned as being an occupant of Tara. After a distinguished career in the service of his country first as a soldier, then in what he referred to always as the “Foreign Office so called” both during and after the Second World War, Alan Hare became chairman of the Financial Times in 1978, overseeing the paper’s all-important decision to print in Frankfurt and become “Europe’s Business Paper”. Throughout his very varied career, Hare discharged his duties with a patrician, almost languid, charm which belied a sharp intellect and remarkable courage. 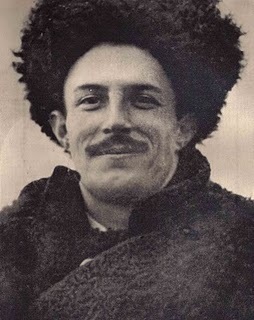 During the war he was parachuted into Albania as a member of Brigadier “Trotsky” Davies’s mission. Betrayed by partisans and ambushed by the Germans, Hare only escaped after a grim chase across snow-bound mountains. Ravaged by frost-bite, he was the sole survivor of Davies’s ill-fated attempt to bring the discipline and turn-out of the parade ground to the isolated valleys of the Balkans. He remained far longer than either reason or compassion would have dictated, tending to the wounds of a fellow British officer. He was later awarded a Military Cross. Characteristically, Hare took an optimistic line and another British officer in Special Operations Executive (SOE) found him in a half-submerged cowshed, recovering quite cheerfully, his unmistakable voice bringing back memories of Oxford dinners, tours of Burgundy and heated political discussion in London night-clubs. Alan Hare was born in 1919, a son of the fourth Earl of Listowel, the head of an Anglo-Irish family burnt out in the troubles. Hare’s conventional education at Eton and then New College, Oxford, imparted little of the stuffiness which invested some of his contemporaries. Commissioned in the Irish Guards on the outbreak of war, he transferred as technical officer to the Life Guards. Here he derived satisfaction from the discovery that members of the Household Cavalry jumped into their unfamiliar new tanks more readily if the order shouted was “Mount” rather than a more modern command. This entry was posted in Other SOE Obituaries and tagged Albania, Cairo, Special Operations Executive, Tara on September 7, 2010 by proverbs6to10.